I’m sure celebrating, though not just for the holiday. After a rough writing period, I have finally finished The Thing About Apples. This draft has taken me the longest to complete, considering its length, and is in the most need of a thorough edit. I’m glad I pushed through it, though, as it’s easier to move forward with shaping this raw material than it is to try to bang it out right the first time. The schedule for now is that I’m going to leave the project for a week while I’m in Ireland, and then print out the typed draft to begin editing chapter by chapter. That’s thirty chapters to edit, many of them needing either a good bit more fleshing out or, in some cases, a complete overhaul. My plan is to finish the first edit by the summer, leave it for about a month, and then either edit it again myself or give it to my editor to see what edits he thinks should be made. Also waiting on my beta readers to finish their once overs on the project to add/act on their recommendations. So optimistically I should have The Thing About Apples ready for formal submission around the end of summer or beginning of fall. Wish me luck! Though I’ll be taking a break from this series after finishing this third book to work on more fantasy projects, I do have the next book planned. It will be a Cinderella story based around a teen mom, tentatively titled Walking on Glass. What do you hope to see from either of these titles, readers? I’m always open to suggestions! …. if you count simply not reaching my 50,000 word count goal a complete failure, that is. After participating unofficially in NaNoWriMo this year, I ended with approximately 49,614 words (I say approximately because the last three thousand words are still only hand written at this point, and I really can only give exact counts when I’ve typed the thing up). I’ve learned a lot about myself in this process. I learned what my natural pace is for writing. My rhythm. I was able to explore a new genre (to me as a writer), and able to give myself enough creative space in which to decide whether or not I wanted to actually continue this project (which, for the moment I still do). This exercise may have gotten me to only the fourteenth chapter of a forty chapter project (only like 35% of the project, to be mathematical about it), but it pushed me to keep myself more strictly on track than I have been able to keep myself previously. I look forward to the next couple months while I finish up the first draft for this project and let it loose to beta readers, to see the product of my own NaNoWriMo participation. 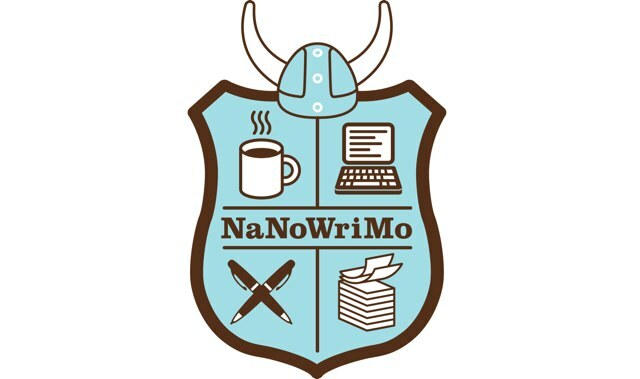 So sure, I was a little less than 1,000 words behind on ‘winning’ NaNoWriMo this year. Maybe next year will be different. As it stands, however, I am proud of myself for setting such a high goal for myself and for what I’ve learned about myself as a writer in the process. And that’s the goal, isn’t it? To consistently keep pushing myself to be a better writer, day by day, until I’m a writer who can create characters worth fangirling about in a Barnes and Noble? All kidding aside though, I do think that it’s important for me to never be entirely satisfied myself, and to find new ways to challenge myself- like with NaNoWriMo. This year was fun, and I’ll definitely try to participate again next year! As I continue to write the rest of the ‘Once Upon a Reality’ series, I find that I’m learning more and more about how media affects people, both positively and negatively. Seeing as that’s one of the main points of the series, you’d think that’d be a given. But in my research into how media representation and portrayals can affect one demographic, I’ve become absorbed in how the way all demographics are portrayed in the media, and how that affects people. I found that I’d inadvertently made no less than two media representational sins in my first book (though pointing them out here would spoil the book for people who haven’t read yet). One of them I cannot fix, but the other I do hope to fix in future editions of the novel. Furthermore, in editing To Dwell in Dreams, I find that I keep coming up across descriptions that I have now learned are wildly offensive (such as describing skin colors in terms of food). I’m grateful for the opportunity in my editing to change these things and to fix them before they can get to print this time. It just goes to show how much I’ve already learned about this industry, and just how much more I have to learn just in general about the world around me. I’m also grateful for the opportunity to have my eyes opened like this. Point being, I would like to take this opportunity to invite my readers to never be afraid to contact me if you find something in any of my stories that you find problematic in terms of representation, or the use of stereotypical tropes or description. It may have gotten beyond the point that I can fix or redact it if the story has already been published, but I can ensure that the product of the discussion we have makes is applied to the next piece that I write. I want to be able to work towards a world where writing can help bring out the best in people through imaginative dialogue- and I can’t very well accomplish that if I’m perpetuating media representational stereotypes. I haven’t had anyone complaining to me yet, but I know my own work well enough to have my own complaints against myself already. Let’s keep on learning together! As of today, the Bookbar in Denver (off of wonderful Tennyson street) now carries ‘Till the Last Petal Falls as part of its local authors showcase. Considering the fact that this store is quickly becoming my own favorite (it’s a bookstore and a wine lounge, how much classier can you get?) I am beyond ecstatic for the opportunity to have my own work on their shelves. Stay tuned for an author event, tentatively to be scheduled in October for Domestic Violence Awareness Month. In the meantime, why not support a new author, battered women’s shelters in Denver, and an innovative independent bookstore all at once and get your copy from the Bookbar? I’m sure the staff there would love to see all of your bright, shining faces (they are very friendly, I often just stop in to chat- they have a lot of good recommendations, and don’t mind if you just come in for a glass of wine and bring your own book!). There’s even a Little Free Library outside their doors that’s always worth checking out, as well as the paired Wine and Book of the month! Now that I have a new computer and I’m getting more and more used to it, I’m starting to get back into the swing of things. It’s nice not having to steal little seconds from my younger siblings’ computers again. With my own computer back, I can really just sit down and devote a lot of my time to work and publicity related activities. It’s taking me a bit to really get used to how Windows 8 and the new Office Suite works, though. I love the easier templates in the new Office Word though- especially the one for formatting book manuscripts (yay). And I love being able to save to the SkyDrive as well. So, positive progress- but also slow progress, as far as learning my computer is concerned. Isn’t getting too much in the way of working, however. After the positive reviews that have come in recently, I’m now scheduled to be reviewed by four different review blogs- two of them in the near future, and two of them more around August-ish. One of the reviewers is even in England! So I suppose, in a very small way, ‘Till the Last Petal Falls is going international! Every little step counts. I’m excited and nervous to see what these reviewers will have to say about my debut novel… one always hopes for glowing positives, but prepares for the worst. I’ve been working more and more on my Tumblr presence, and loving it. If you want to know more about writing tips that I follow (from other writers), or causes I support, or discussions I’m a part of, I recommend you networking with me there. 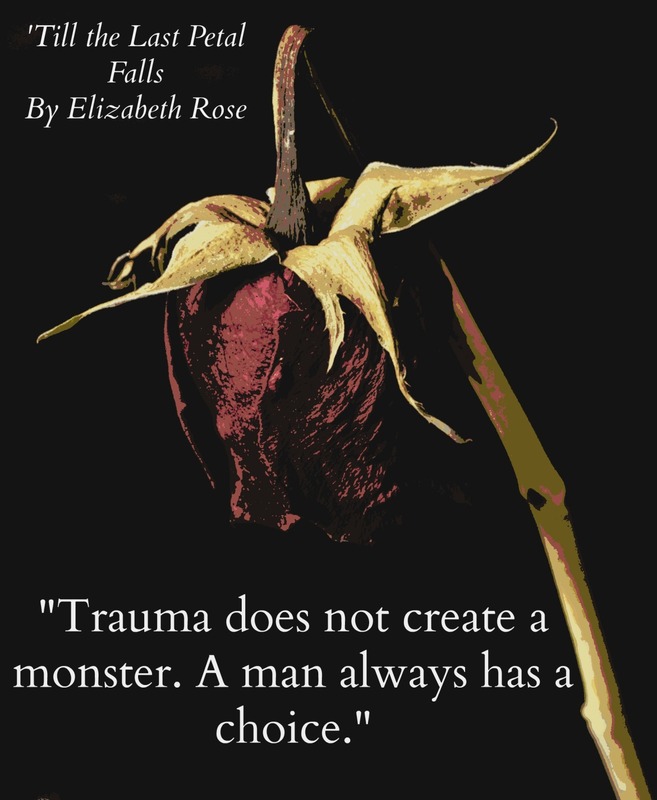 I’m thinking of putting up some quotes from ‘Till the Last Petal Falls that I particularly like… if any of my readers have a favorite of their own, go ahead and comment it and I’ll put it up with a nice pretty graphic. Other than that, though, I’m still waiting for all of my beta-readers to get through my manuscript so I can start editing the crud out of it. I’ve gotten some wonderful feedback and targeted most of my weak spots and made plans to strengthen the central message of the manuscript… and my older sister has been a wealth of knowledge regarding the main character’s stay in England, so that I can make my manuscript as accurate and believable as possible. I’m also taking everything I’ve learned from this first book and applying it to the next one- always improving! June’s coming up fast, and I’m going to finally start my job as a nanny during the weekdays, as well as writing my thesis at night, so I’m probably not going to get much new work done. I will also be actively editing during that time though, so I’ll keep everyone updated on when To Dwell in Dreams is close to being able to be sent out for publication. Progress Report: Feedbacking and Reviews! Cool news, friends- the first beta-reader has now completely gotten through the entire first draft of To Dwell in Dreams! I definitely have some work to do here and there, and I knew that, but having that feedback is going to make it that much easier for me to pinpoint where the biggest issues with this manuscript is, and where I can improve this new book so that I can eventually present to the public the best version of it possible! Also getting some great advice from my older sister about how to write the chapters that take place in the UK- since she lived there and was stationed there for awhile, she’s been catching all the small problems that I’ve had in describing those parts of Lyn’s life! Oh, I just keep getting so excited to edit this so that I can send it out for publication consideration… good thing my beta readers are keeping me from rushing the whole process! On another note, another blogger review of Till the Last Petal Falls will be coming out sometime this week from J.M. Brink, which I’ve been anxiously awaiting! Cross your fingers, let’s hope this one is a good review as well! Speaking of reviewing, if you or someone you know has already read ‘Till the Last Petal Falls, would you mind leaving your own review, either on Amazon, Barnes & Noble, or Goodreads? New authors like me rely on reader reviews in order to help spread the word about this book and to convince other readers to pick up the title (and bookstores!). Reviews also let me know what I did good, and what I could improve on, so that I can progress as an author and keep writing better novels than the last. Simply leave a comment on the book’s page stating one or two specific things that you enjoyed about the book (while avoiding spoilers, if possible! ), and then one or two specific things that could have been improved on (style-wise, description-wise, story-wise, or even the level of violence or cursing). I would really, truly appreciate it! -Another option that I haven’t thought about that you will post down below in the comments! Let me know what you think of this option! Yesterday, I officially finished the first draft of ‘To Dwell in Dreams’- all of the hand-written chapters have been typed up and exported into a single document. All I have to do now is format it so that it will be easier for my editors and beta-readers to go through, and then it will be sent out to them. People are still currently going through it chapter-by-chapter, so I’ve gotten a lot of good feedback up to Chapter Sixteen already, so we’re moving along. -It has 30 chapters- each odd numbered chapter is situated in the present, each even numbered chapter is a ‘Dream’. -Ensure consistency within the timeline of the story (there are a couple of wonky spots, here and there). – Check the believably of the main character, Lyn, and her character arc. In the initial feedback, I’ve been seeing a couple of trouble spots where I need to go back in and emotionally balance certain scenes. I’ll keep you all updated on everything- remember, you can now always check on the progress of my second novel at my website, where I will be posting each step as I go. 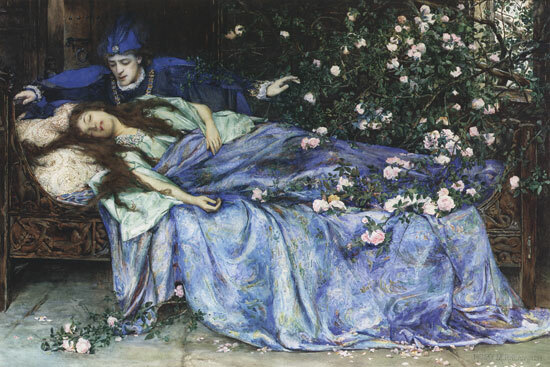 My next book is a re-telling of ‘Sleeping Beauty’, dealing with the issues of depression, prescription medication addiction, and the a refusal to grow up.